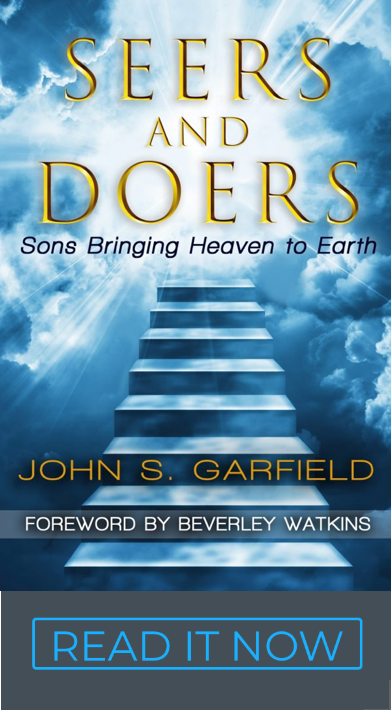 If we have a setback or fail to connect with our dream, our hearts feel disconnected; in fact, we feel “fatherless,” and we take on an orphan mentality that affects our identity and abundance. Kings are present at a first fruits level, but most of Christianity is in an orphaned state to some degree. They have every right to be a son, but relationally they carry the mindset of an orphan. The Orphan identity – Not connecting with the “works” for which we were created leaves us with a sense of being abandoned by the Father or “left behind.” We feel like we don’t belong in any group and no one cares. We can feel rejected, unaccepted, unwanted and we simply can’t see or plan our future – there is no future. We have nothing of significance to do or contribute. It’s difficult to dream and difficult to believe any dream might come true. Our plans are stuck in the mud a mundane existence. Scarcity – Orphans feel a deep poverty in their hearts that says, “My needs will go unmet.” Without the sense of a Father to lead, instruct and shape us into a destiny of significance, we feel like there is not enough love, not enough money, and not enough acceptance. Orphans are easy prey for those who would project their own standards or purpose on them and relegate them to remain forever in the realm of servants instead of sons and Kings. Finding Abba – Normally we would say the answer lies in finding a mentor or a pastor and belonging to a church. A man can never fill God’s shoes. The promise is that God himself will come. This verse is exactly in the context of Kings. Jesus was preparing His disciples for the day when He would be physically gone and the Holy Spirit would reside in their hearts to fill the same role. If you don’t quite “get it,” don’t worry, the disciples didn’t get it with their minds either – it’s an experience! Experiencing a Father – I had the good fortune of having a great dad, which gives me a picture of how to relate to Father God. My dad simply took me with him and we worked together on the ranch. He taught me how to get things done, and he taught me that there is a special fellowship that goes with working together that makes it fun. As I grew older, he would send me off with the skills and equipment to work alone or lead someone else. Jesus does the same thing. He called his disciples to follow him and told them he would make them fishers of men. In Luke 9 and 10 he gave the disciples power and authority and sent them out on their own to get the job done. Finally, He introduced them to the Holy Spirit who would lead them and guide them the rest of their lives. A portable Father who never leaves us or forsakes us! From Heaven to Kingdom – Heaven comes from knowing Jesus, experiencing His forgiveness, and receiving His invitation to a salvation relationship. Seeing the Kingdom and entering aren’t necessarily the same thing. Here are a few of the relational ingredients to move from orphan and servant to King. Talking to Abba – Kings have a conversation with God about their dream. They accept that their creation is special and unique, and they seek the Father to identify the works that are waiting for them. They understand that the will of God comes through the desires of their heart, as opposed to an order from a superior. Their level of relationship with the Father isn’t described by obedience alone. It’s more relational, conversational and creative than carrying out commands and living by rules. Favor – Kings feel the supernatural favor of God and men in their lives. They rise to the surface through every trial and difficulty, knowing that their place and victory is secure in their Father. They contend for their land, and labor with their Father to make things happen and build the Kingdom. They are courageous, determined, confident and bold because they carry a commission from the Father. Connected – Kings are connected with their own hearts and with the Father’s heart. They are drawn to divine appointments because their heart has no guile. They don’t carry any pretense; they just function in what they enjoy and what they are called to do. They are very content and fruitful in just being themselves. They easily connect with those of their own tribe who have similar hearts or similar mountains. They are free to help others connect with their heart and identify their dream. Courage – Kings carry an apostolic mantle in this sense: they can be a father and teach young men and women to conquer. When your dream is unclear and there is no one who knows about it or encourages it, Kings will draw it out of your heart and help articulate its clarity. They will naturally be a source of encouragement with an ability to hear your heart. They are not God, nor are they your Father, but when you experience them you will taste the Father’s love and His personal compassion for you. They also carry a practical ability to help you implement an idea or a dream. The Holy Spirit is “Fathering” people in this hour. When you touch a person’s dream, you can feel our heavenly Father open a door in the prophetic to help the process. It’s very powerful and it’s an experience of the heart that you won’t forget.